I am a socially savvy Health Insurance Agent on a journey to survive while battling the fight to lose. Lose everything; lose weight, lose bad habits, lose all that baggage we hold onto. How can I be a Health Insurance Agent and not be healthy? Working in this field, I hear so many stories of health issues, struggles and victories. Some of those stories have left me in fear of my own health and my own longevity in this world. At the age of 35, a quest for understanding of my own fertility (or lack thereof), led me to making the biggest decision of my life: whether or not I should have gastric bypass surgery( #rny) to accomplish my weight loss success and have a real chance at motherhood. This is my battle to lose so that I might live! Posting my first full body pic in a very long time. 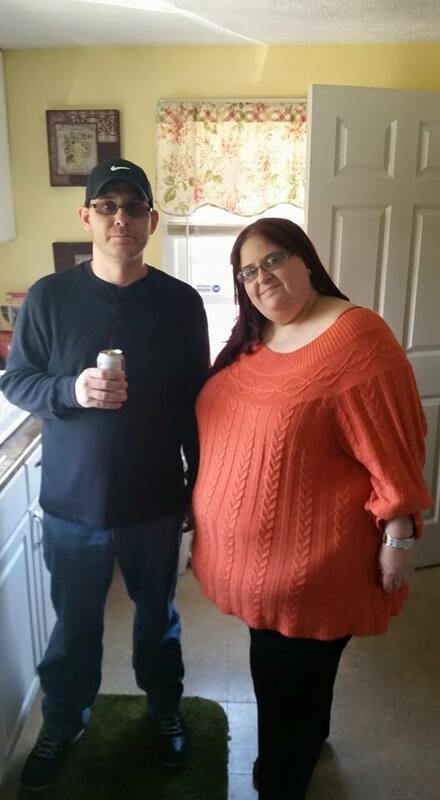 It’s of me and my brother Scott at Easter. I never let anyone take full body pics of me because I feel so embarrassed. How did I allow myself to get to this point? I figure that if I am going to keep up this serious effort at changing, I might as well face it head on and look in the mirror. Can’t change what you are afraid to look at. So I guess this is my “before” picture.